Infographics is one of the latest trends in information sharing on the Internet. Infographic is the visual presentation of products, data, idea or a process. The characteristic of infographics is data that is presented in an easily digestible format with designs that are eye catching. All these factors of the infographics make it a viable vehicle to promote brands or products. Infographics are preferred over other vehicles of brand promotion or marketing because of their attractiveness over written media, shareable nature, minimum time consumption compared to online videos and easy digestion. These are perfectly suited for business promotions regardless of the nature of the business. These are ideal for today’s short attention spanned and over sharing consumers of online media. 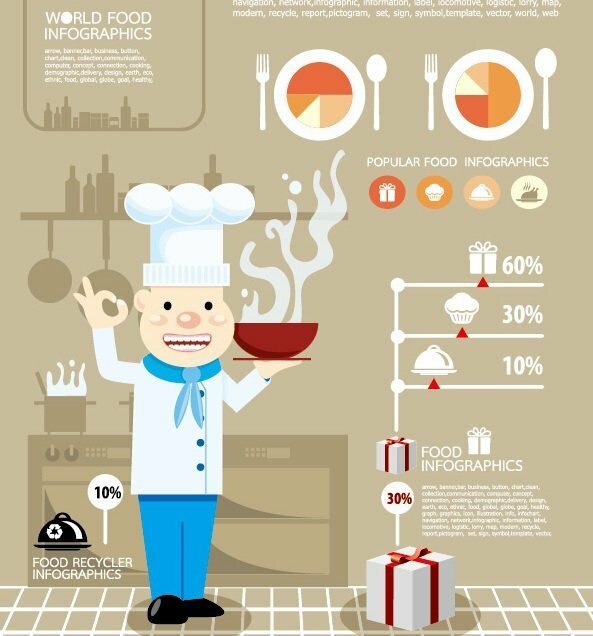 You may ask that what role infographics play for your business. The main question is what infographics can’t do for your business? You can create an infographic with eye popping design to showcase the benefits or features of your product/s. Once you have created an infographic, share the same through various social media platforms. People who go through the infographic will find it interesting, entertaining and something that they cannot live without. Most users prefer Re-Tweet, pin infographics on various social media platforms like Twitter, Facebook and Pinterest. This helps in expanding your social media sphere adding a boost to your social media marketing. Thus, infographics drive links and online traffic to your website which improves search engine rankings significantly. If your product has become popular among your fans then you can expect a dedicated YouTube video of your product. This can go viral and help you to reach out to prospective customers. Though these results are not guaranteed, but your business will definitely benefit from a successfully executed infographic. Search engine results & rankings will improve from links and traffic to your product website. Your market reach and social media engagement will expand rapidly as your product infographic is shared on various social media websites. Your brand or business recognition will increase as a stamp of authority in your chosen business vertical. So, how to create an infographic? The first and the foremost thing that comes to our mind is to choose a topic that will explain your ideas, products, opinions or brand marketing. The success of any infographic does not depend on the topic entirely, but opting for a topic that will create a buzz or generate interest among your prospective audience. The main focus is to let your target audience know what they wish to know or need to know. Does sharing the infographic on your website or through your social media links make sense? Will it be interesting for your target audience or market? Are the ideas mentioned on your infographic well documented and backed by sources that are legitimate? Is it supported with effective graphics? Is it visually pleasing and artistic? You may have a great vision and good topics to draw the attention of prospective customers, but most companies do not have the skills or the expertise to materialize a professional infographic. Hiring professional companies that specialize in infographics creation can do the job for you.